By now, you’ve rested and eaten and are ready to get out and start exploring. Well, you’ve come to the very best place to do that on the West Coast (maybe the world, LOL?). The challenge in California has always been, not what to do, but what not to do. This is especially true of the northern half of the state, because it is gifted with every feature that attracts visitors and home buyers, both. It boasts mountains with world class skiing and snowboarding in winter, lakes for boating, shorelines with miles of glittering clean water and pale, windswept sands, forests with some of the worlds oldest and most magnificent trees and farmland enriched by year round growing seasons and good soil. The fruit and vegetable capital of the world is in Central and Northern California. In turn, this bounty supplies farmer’s markets and dining establishments like no other place I have ever been, save the Amazon basin. So, my task here is to tell you how to plan your visit to take advantage of these treasures without running yourselves ragged, trying to do it all. If you have a few days, a week, two weeks, a month or a season, you will be able to see more and more of what NoCal has to offer. Since I started you in Oakland, because it is a microcosm of the best of California in one small area, I suggest you envision your visit in radiating concentric circles out from that starting point. If you choose instead to jump to another area for a day, the wonderful thing is, there are many to choose from. 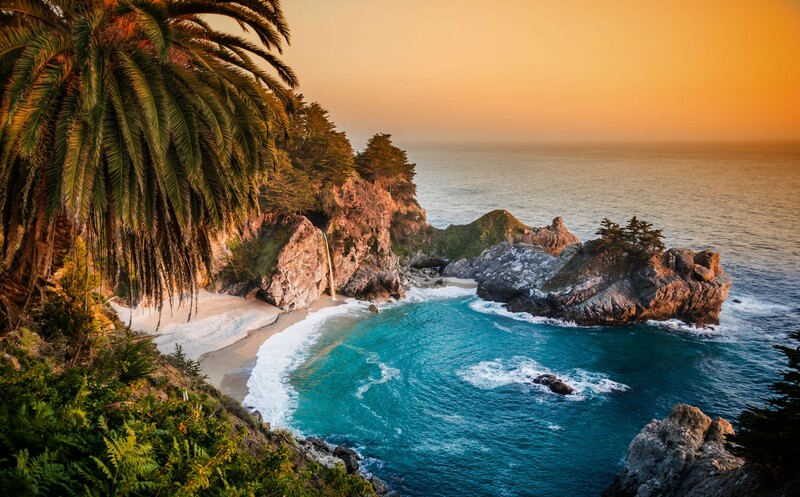 You could go to the fairy tale coastal town of Carmel, and then visit Half Moon Bay in one direction and the stunning Monterey Peninsula in another. If you want to drive up to Lake Tahoe, you can visit the seafood lover’s dream, quaint Sausalito and Marin County and its affluent neighborhoods on the way there or back. You can drive to the Redwoods and see the perfectly preserved early Victorian town of Eureka while you are there. And Oregon and its miles of forests and streams will be in proximity. 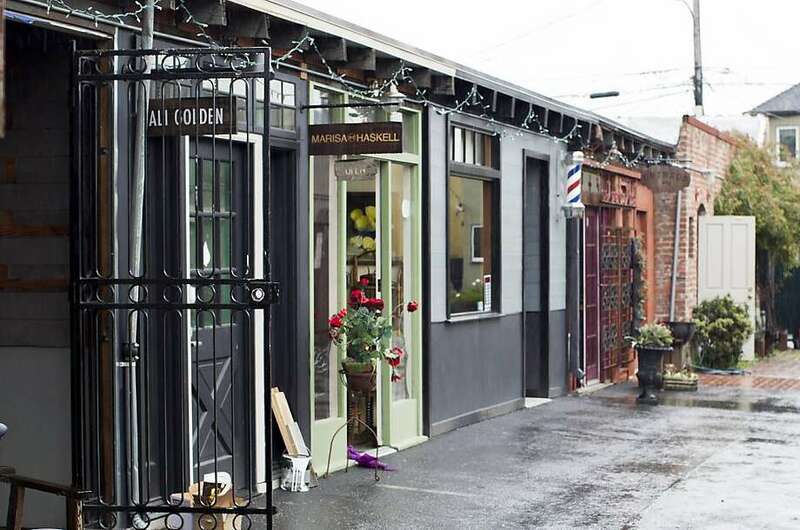 But, if you choose to stay within a day’s driving distance of Oakland, or just to walk around the neighboring villages, as they are referred to, to Oakland itself, you will still have a varied, exciting, relaxing and memorable experience. You don’t need to go far — you are truly in a visitor’s wonderland right there in the East Bay. Let me also recommend several ways to get here. I would skip flying into San Francisco’s airport, SFO. It is a hassle in many ways, including getting a rental car, which takes an inordinate amount of precious time. Choose Oakland Airport instead. It is clean, modern and less known, hence fewer complications, both when arriving and leaving and renting a car. If you didn’t even want to rent a vehicle, you can take BART, the rapid transit system from Oakland Airport right into the heart of town. The entire metropolitan area of San Francisco and the East Bay are served by clean and efficient trains. If you are driving up from Southern California, you have two choices: the scenic route along the Pacific or the more efficient Interstate 5 through the desert. In winter, the 5 is a breeze. You can make the trip door to door in 6 hours from Downtown Los Angeles, for example. Hugging the coast via El Camino Réal, the 101/1, will take about 9 hours but you could stop over in beautiful Big Sur. If you do, stay at the Ventana Inn and enjoy a hot tub soak under the stars, overlooking the sea. It is magical and they not only have beautiful rooms, but exquisite food as well. In fact, it is perfect for honeymooners. While you are there, why not check out Esalen Institute and take a class? That route takes you through picture perfect Carmel, too. You can also take the Amtrak Metroliner Coast Starlight along this same route. Beautiful, quiet, and relaxing. Leave in the evening to arrive next morning in San Francisco and then take BART to Oakland. One thing I love about Oakland, is its close proximity via a long shoreline to downtown San Francisco. 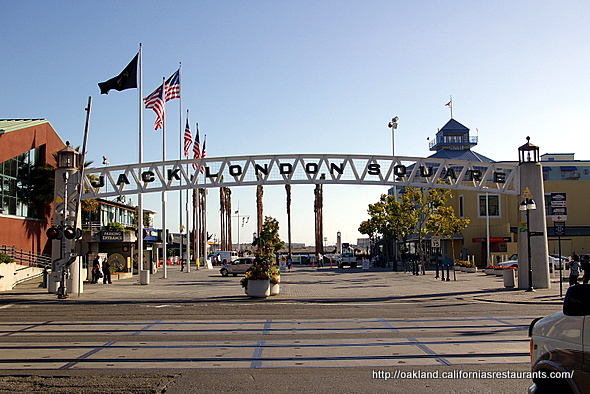 If you can, take the Ferry at Jack London Square to the San Francisco Ferry Plaza Farmer’s Market on the other side. The views along the way are stunning and when you land, you will be in one of the premiere gourmet food spots on earth. The SFFM is a permanent installation with restaurants, snack bars, fresh produce and gourmet specialty food stalls and right near transportation into Downtown SF. One thing to do is find a honey or jam stand featuring locally produced condiments, in the nearby fruit basket of eastern and central California. You can do the Market in a morning and return to Oakland for something else in the afternoon. Or stay and visit Ghiradelli Square and the Embarcadero district of San Francisco, have dinner there and watch the sunset, then take the last ferry back to Oakland at night. Check the schedules. walking routes of interest: * Piedmont Avenue * Temescal * Rockridge * Grand Avenue and Lakeside Drive * Jack London Square and the Oakland Waterfront * Downtown Oakland. 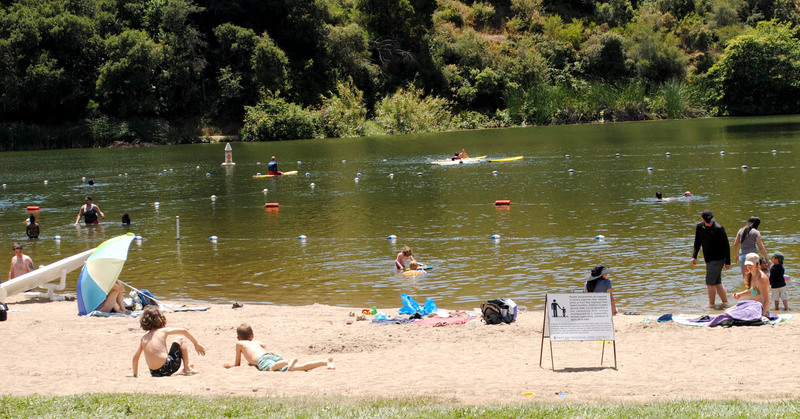 While you are at it, why not take a swim in Lake Temescal? 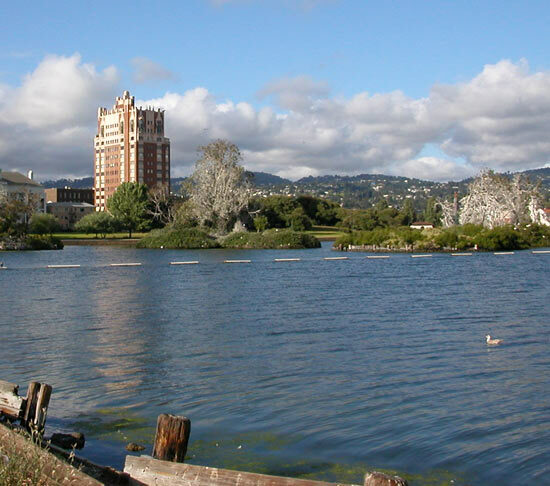 Or stroll around Lake Merritt and view its bird sanctuary? For transportation getting around town without taking a car, check into the BART system and the AC Transit system. And, of course, there is always Uber. So whether walking, bussing, training, driving, or Ubering, this concentrated yet expansive area is totally accessible, almost around the clock. Another area immediately adjacent to Oakland and well worth visiting is Berkeley. The University of California Berkeley’s 1200 acre campus itself is studded with rolling hills, gardens, forests and park-like lawns. The original layout and architecture are the work of renowned academic architect Frederick Law Olmstead who designed other elegant campuses in the 1880s. There are paths on which to stroll, the beautiful library that is open to sit and read awhile and soak up the classic atmosphere and all kinds of great places to pick up bargains and have coffee that ring the campus. 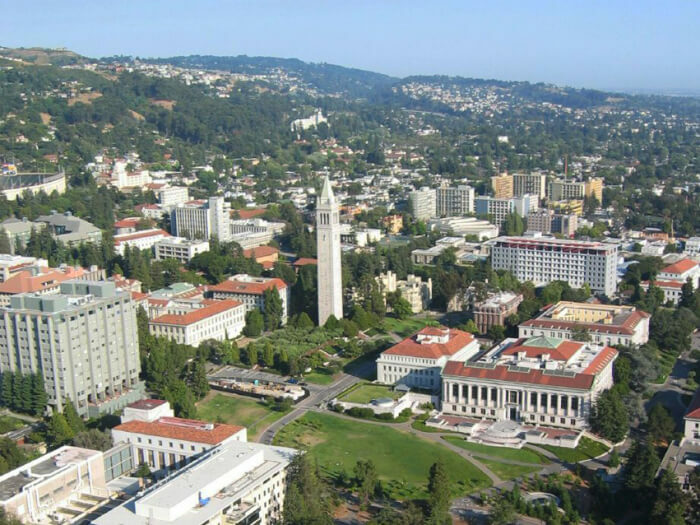 Once you are in the Berkeley campus area, you are in walking distance to special spots, for shopping and just absorbing the famous Berkeley environment. There are cafes and clubs for music at night and independent bookstores. Throughout the East Bay, mom and pop establishments take precedence and you are harder put to find a universally frowned upon chain store. Right nearby are more villages and venues for being entertained. You may want to check out each, for its particular features: Berkeley Art Museum and Pacific Film Archive * U.C. Museum of Paleontology * U.C. Botanical Garden * Tilden Park * Lawrence Hall of Science * Takara Sake * Pyramid Alehouse (I think the one in Berkeley is closed, so try the one in nearby Walnut Creek) *Scharffenberger Chocolate (the Scharffenbergers are friends of and were business associates of my late father-in-law) * Berkeley Bowl *Gourmet Ghetto * Fourth Street * Solano Avenue * Westbrae and Northbrae * San Pablo* Telegraph Avenue. Go to the links and scroll all the way down each page for an annotated list of restaurants to shopping to sightseeing points of interest. When you are on Telegraph — the main drag in Berkeley — check out Kathmandu Imports for the most gorgeous colored hand woven garments and articles made from Tibetan and Nepalese fabrics. I typically buy scarves for gifts there and people drool over them. Don’t go by the website, which is strangely unappealing and limited. Just go there and you will see what I mean. Let me say a few special words about the Gourmet Ghetto. I gave you the link so you could see the best aspects of it yourself. 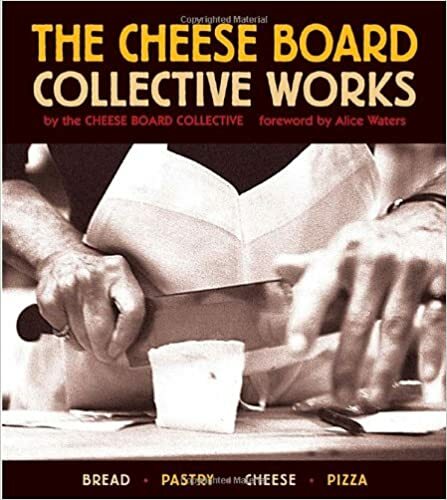 But there are two places you simply must not miss: The Cheese Board and Chez Panisse. The latter, first. 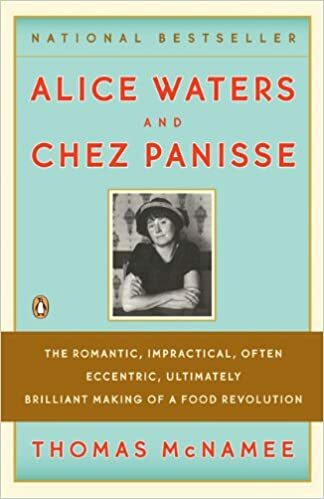 Alice Waters, owner of Chez Panisse, was the original instigator of the gourmet revolution of the 1960s that started right here, just a few steps from the Berkeley Campus. Alice later went on to advocate what is commonly called now “slow food” which is opposed to the fast food junkaholism that has dominated the post WWII eating economy. Waters grew the fresh foods in her Berkeley area garden and cooked them in her restaurants, the recipes for many of which appeared in her cookbooks. 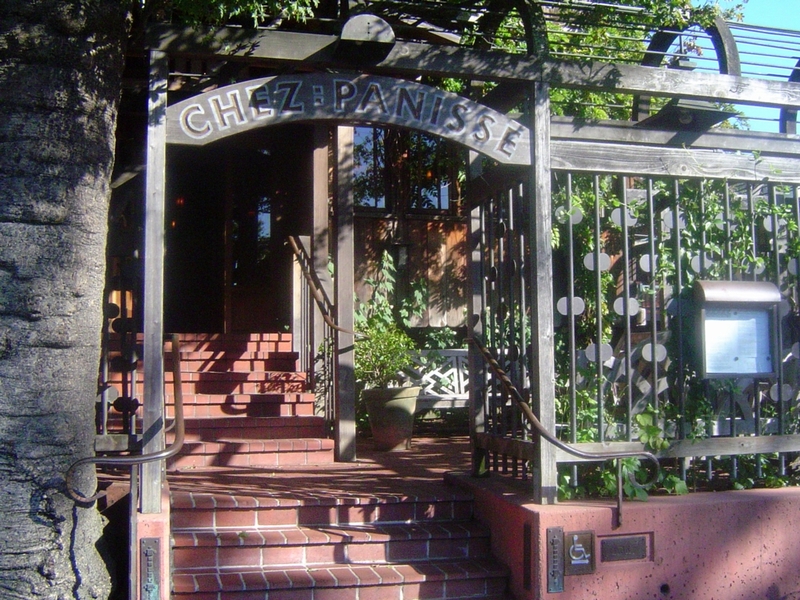 I have been to Chez Panisse several times. There is typically a long wait to get an advanced reservation and can be a harried experience once you arrive and have to wait anyway. The food is good, maybe even great. For the price, the wait, and the hype, I will let you decide if you should do it, just once or skip it. But, it is truly a one of a kind event. The menu changes every single day, depending on what is fresh and local that morning. The quality of the place has remained stable over decades. If nothing else, take a selfie in front of it! The Cheese Board has similar issues. First of all, there is a long line to even get in the door, and then a long wait to choose from a stupefying array of the most exotic and exquisite cheeses and breads you have ever had. I would do it, if I were you. It is well worth it. Pick up their bread making book while you are at it. Try the cheese breads among others. Sigh, just talking about this makes me want to jump in the car and head north right this minute. Two other places you really should go while in that Berkeley campus area are Masse’s pastries – OMG, I won’t tell you why. Just go and you will know. And, of course, the first, the original and best Peet’s Coffee. The finest coffee sold in this country started right here in Berkeley. One more recommendation for the ladies here is one of my favorite clothing stores, ever, Earthly Goods in Berkeley on Vine Street. Wonderful, classic but up to date clothes for virtually any body type, shoes and accessories, a bit costly but with great sales. Check it out. Once you feel you have exhausted all of Oakland’s riches, you know you are right in the center of an area so loaded with attractions that I would have to devote another series of posts to cover them all (which I might do in the future). But, here is a short list of some of them — among them ones I mentioned at the top of this post and in Part I, starting with the Monterey Aquarium, a must-see if you are traveling with children. Redwood Empire * Sierra Mountains * Sonoma County * Lake Tahoe * Carmel * Big Sur * Marin County *Monterey * Sausalito * Muir Woods * Yosemite * Napa Valley * Mount Tamalpais * Palo Alto and Stanford University. Whew !! Like your LA “guide”, extraordinary. How you find the “time” is a wonder in itself. Well now –to get there . It took weeks to get this ready, Bob, LOL. I realized as I was doing it that I could probably do posts like this for dozens of other places but I don’t want this to be a travel blog! You would think all I do is eat and shop all the time. You are kind! At the end of a month of focusing on Oakland, now I want to be back there. I did it to myself! What’s wrong with a travel blog? We can’t just talk about Bernie Sanders all the time. Lots of good info. All the best! Hee hee, you are so right, Stephen. The trouble is, I am traveling less these days so I would feel some of my info is a bit old. But not stuff in California, as I do get around here. But, there has to be some relief from politics or I would tick all of you off permanently. Not to worry though. I have one coming up and it is a doozy. I doubt you’d tick ME off – we seem to be of like minds politically – but it might put both of us in a permanent foul mood! You have no idea how I have to restrain myself from venting all you just shared and more, on this blog, every single day. I am furious at the selfishness and stupidity. It is hard to believe half of this country is unable to see what is going on. How can we change it, if people get all their ideas from false sources? Dumb! The perils of a press with unbridled capitalistic motives – and a populace that is no longer taught to think, I suppose. As Maurice Chevalier is oft quoted (from a song he sang in Gigi), “I’m glad I’m not young anymore.” I’ll probably miss the far end of this trajectory – since, sadly, folks like us don’t seem to be able to change its direction. I wonder why that is. After all, we have facts on our side. Facts aren’t click-bait apparently. Eventually this group of white-superiorists will pass on and the world will at least be egalitarian, with all the messiness that entails. At least the playing field will be more even. Somebody said, “What I love about Republicans is that they aren’t bothered by trivial things like facts.” Apparently not those in office or those who vote them in. I’ll never understand it. I hope the Chamber of Commerce is paying you enough Beth 🙂 You must be bringing in visitors and tourists like crazy – rich descriptions and gorgeous photos – who could resist? Thank you for being a wonderful tour guide! Thank you Vera, well, with some places it is harder than others. Oakland and Northern California are the best the US has to offer and that makes it easy for me to be superlative about visiting here. I think Oakland has been neglected far too long! Oh, you are good, Charlotte! He should read my Ooh La LA post. He can email me if he wants other more customised suggestions. I really know Los Angeles well. 🙂 Great trip! I liked the suggested places to stay and those to visit. The food, dimensions of variety offered were stupendous and thoughtful! 🙂 Hugs and gratefulness for your recent stops and comments. It is very nice of you to say all this Robin! I am good at selling something if I believe in it strongly and I think California’s East Bay is the best of all worlds: natural, exciting, relaxing, urban and friendly. I love it up there! And as for your place, I love stopping to read about the world as you see it in Ohio. You always find the positive wherever you go, Robin. It’s no wonder you are so popular. Who doesn’t feel better with you in their world? As far as all you displayed in this post, I was happy with the pretty lagoon where it seemed like you were on an island, not on a bay like it is. Oh my goodness!!! We eat soup every night or a sandwich. Otherwise, we would both be 300 pounds. How do you do it! You are so fit. That pasta sounds divine. Never was big on corned beef as a little girl and then became a vegetarian in HS so it has been decades since I last had it. I do like Bubble and Squeak though. I have to admit, UK food is pretty meaty so I don’t eat it much. But we did wear green as both of us are half Irish (I am English/Irish and Geoffrey is Swiss/Irish). Having someone else cook is my idea of heaven. Hee hee, Robin, thank you. Everyone is gone but no relaxing. A million things going on as usual. I hope you are having a pleasant start to the New Year. I will be over shortly to catch up. Love! One wonders to see and read your posts. We feel going round the places; you have taken so much of efforts. plans, information, clicking pictures and all sorts to make the post very interesting. I have plans to go round the globe some time in the near future, let me see when that could be possible. In that case I shall take your posts as Travel Guides especially while in the US. Thanks so much for this amazing information. Oh, that would be excellent. I hope you make the trip, Shiva and anything I can do to help, just ask! Oh! Beth so nice to say so. Let me see if it is destined. Actually I have some cousins settled there since long time who have been rather grumbling me to come, for years now. They are fed up and have stopped talking about it😃. Thank You for the friendly invitation and your concern for help. Lately l have been using the WP App which has been convenient to browse and check blog posts. I saw yours, there are some posts of yours which I have not read and they seem to be interesting. In the app you can see to the home page of every blogger and in a line they come for us to see. See you at yours very soon.